The beach, the surf, the sound of a ukulele, hula dancers at a luau! 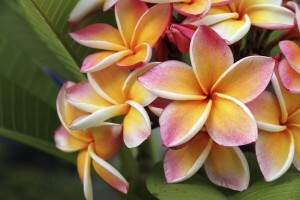 Hawaii is the perfect place to touch the exotic- and still have all the modern conveniences! The Hawaiian Islands offer activities and adventures for everyone. Want to tan on some of the most pristine beaches in the world? 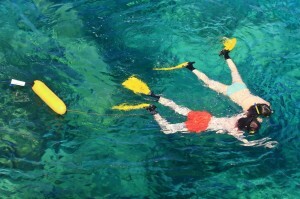 Snorkel in crystal clear waters? Hike in the rain rainforest towards active volcanoes? If you’re daydreaming of a land far away, then a Hawaii student vacation package is the perfect vacation for you! Honolulu, Hawaii’s capital city located on the island of Oahu, is the most popular vacation destination in Hawaii. In Honolulu, you can shop ‘till you drop, relax on Waikiki beach and watch world-class surfers ride giant waves North Shore breaks like Waimea and Pipeline. Hawaii’s big island is really a natural wonder, with tropical rainforests in one area a volcanic desert only a hours away. If you’re lucky you might even witness an active volcano eruption (don’t worry, the lava flows slowly)! Another optional package is to visit the relaxing island of Maui, where students can enjoy sunbathing in paradise while sipping a Mai Tai. Whichever Hawaiian island you choose, you will have the adventure of a lifetime!